Household ammonia is a commonly used cleaner that is effective for dissolving grease and oils. 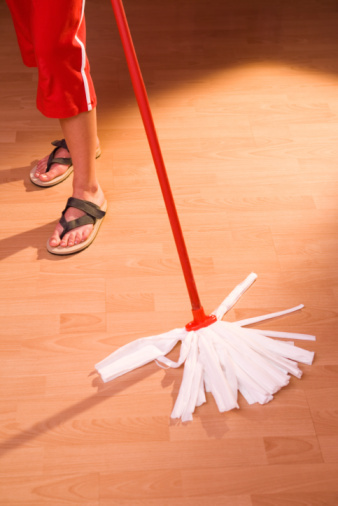 It is a primary ingredient in kitchen, bath, floor and window cleaners. Ammonia works by braking down cell proteins, which destroys the cells and pulls the moisture out of them. It is a highly effective cleaner, but it is poisonous when ingested, inhaled, when it enters the eyes or is in contact with the skin. Never combine ammonia with other cleaning chemicals, especially chlorine bleach, as fatal toxic fumes are released. Three ingredients make up household ammonia: nitrogen, hydrogen and water. 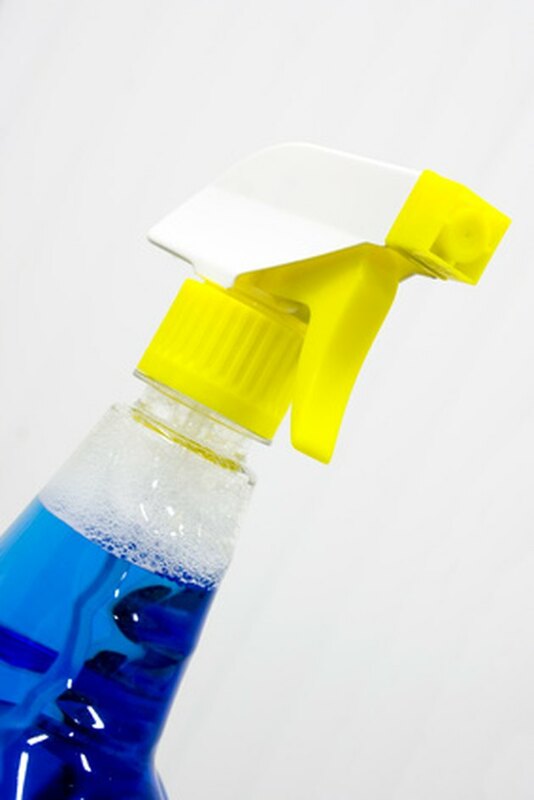 Ammonia is used on its own and in household cleaners such as window sprays. Physician and chemist Daniel Rutherford discovered nitrogen in 1772 when he removed oxygen and carbon dioxide from air. It exists in both liquid and gaseous forms. Nitrogen does not support life on its own. Earth's air contains 78.1 percent nitrogen. All life forms on Earth contain nitrogen. In fact, it is one of the primary fertilizers for plants and is essential to their growth. In addition, nitrogen is an element in all proteins. Discovered by chemist Robert Boyle in 1671, hydrogen is the most common element in the universe. The universe is comprised of 90 percent hydrogen by weight. It is one of the two elements that make up water. This makes it essential to life on Earth, since water is present in every plant and animal. Most of the hydrogen we use is chemically produced by splitting water into hydrogen and oxygen, or by adding acids or compounds to metals to free the hydrogen. Household ammonia is a diluted form of NH3, also known as ammonium hydroxide. Typical household ammonia formulations feature a 5 to 10 percent concentration of ammonia. Added water controls the strength of the compound, since it has a high pH and releases noxious fumes that can irritate respiratory tissues. Extended or excessive exposure to ammonia fumes is toxic and results in potential lung damage. Laura Bramble has been writing professionally in her work for marketing and sales since 1989. She has been a real estate agent and a mortgage loan officer and her work has appeared on SFGate and various other websites. Bramble holds a certification in grant writing from Emory University and studied economics at the University of Pittsburgh.